Frasca’s new Advanced Aviation Training Device configured here for a Piper Arrow. It can be reconfigured easily for a Warrior or Seminole twin. Which flight training devices do you buy if you’re a flight school? You may be training students on single engine or twin engine aircraft, the single may or may not have retractable undercarriage, and then there’s the whole question of instrument panels. 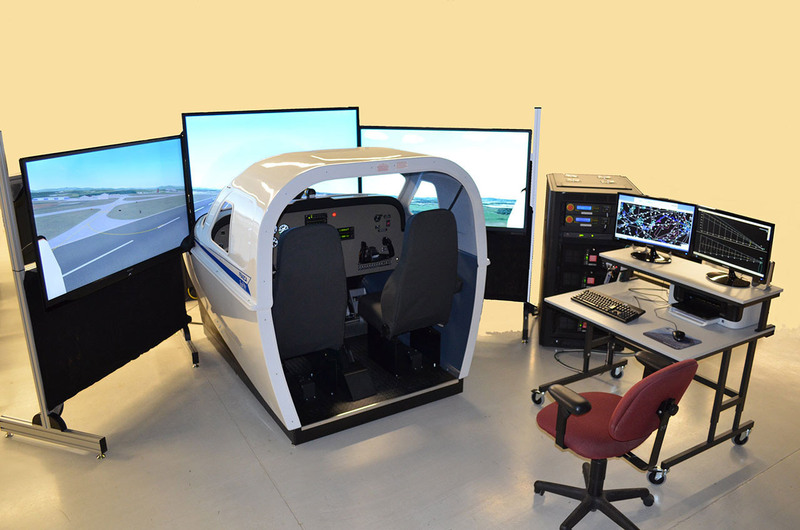 One answer is Frasca’s reconfigurable Advanced Aviation Training Devices (AATDs), three of which have just been ordered by Parks College of Engineering, Aviation & Technology, St. Louis, Missouri, USA. The three new Frasca AATDs will be reconfigurable between the college’s Piper Warrior, Piper Arrow and Piper Seminole aircraft by utilising Frasca’s Computer Generated Instrument (CGI) technology. The reconfigurable panels incorporate actual instrument bezels with glass, operational indicators, control knobs and switches which are installed over a large LCD screen and can be configured in minutes. The result is a realistic look with the same tactile feel of an actual aircraft panel. The high level of realism enables the students to transfer a greater amount of learning from the AATD to the aircraft, reduces maintenance and increases the reliablity of the AATDS, says Frasca.